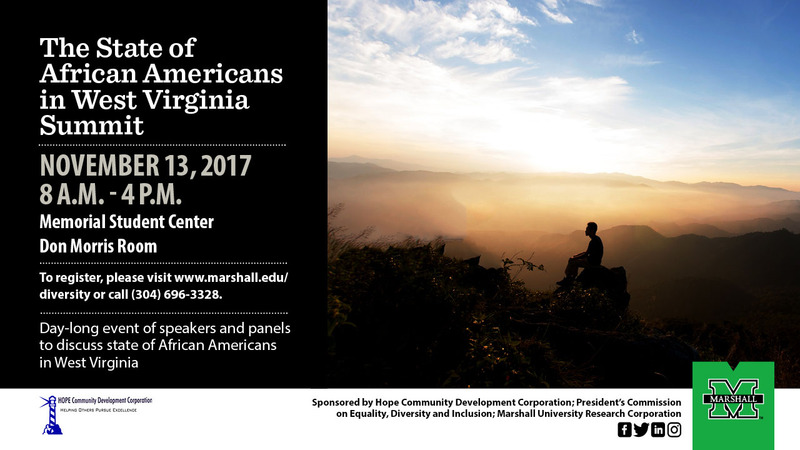 The State of African Americans in West Virginia Summit information (recordings, documents, audio files, etc) have been uploaded to the Marshall University Digital Scholar. You may find the summit information here. The State of African Americans in West Virginia Summit aims to provide attendees with overview historical challenges African Americans across West Virginia face as documented by 2004 Select Committee on Minority Affairs Report, current census data and government reports. The summit also strives to provide attendees with an overview of the West Side Revive Movement, its legislative and programmatic structure, and how the West Side Revive model could serve as a model for communities across West Virginia.